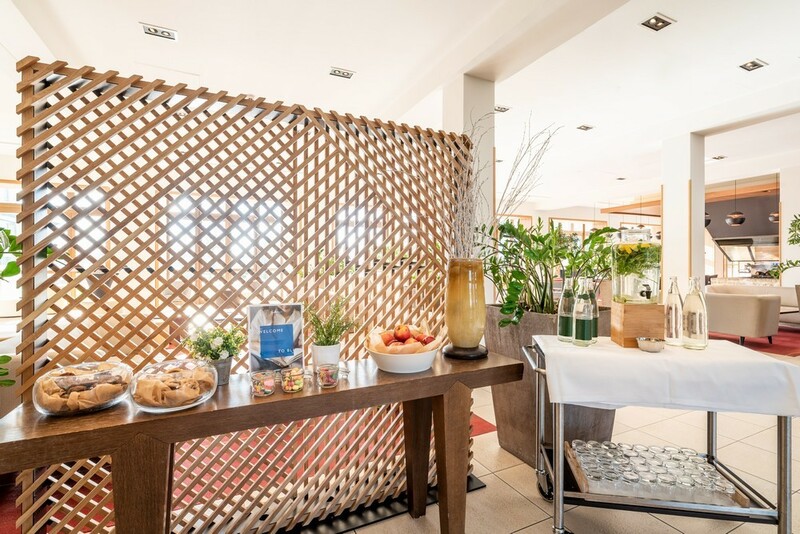 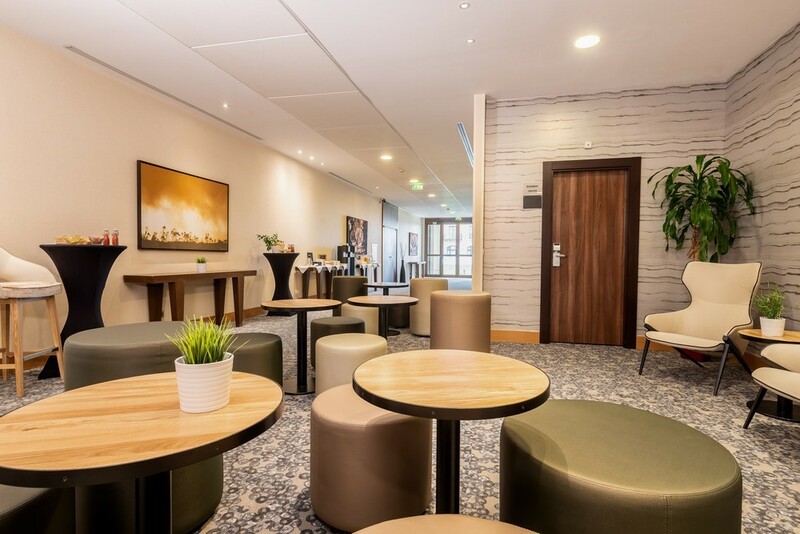 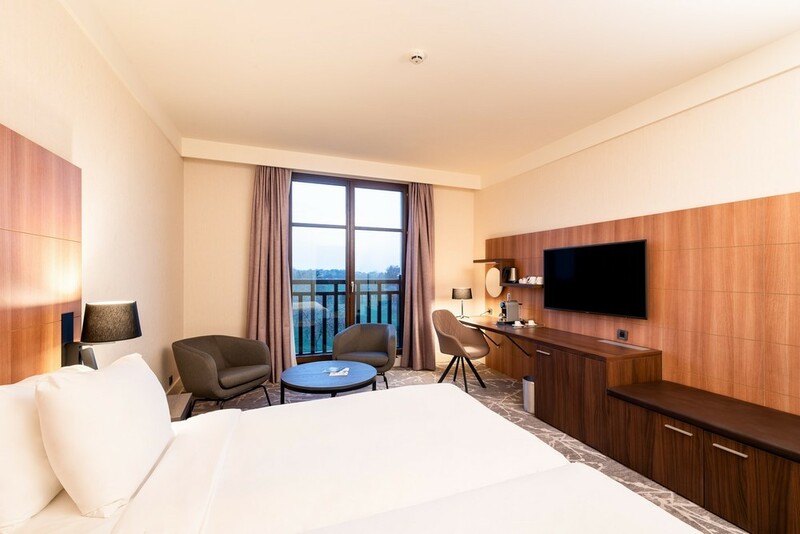 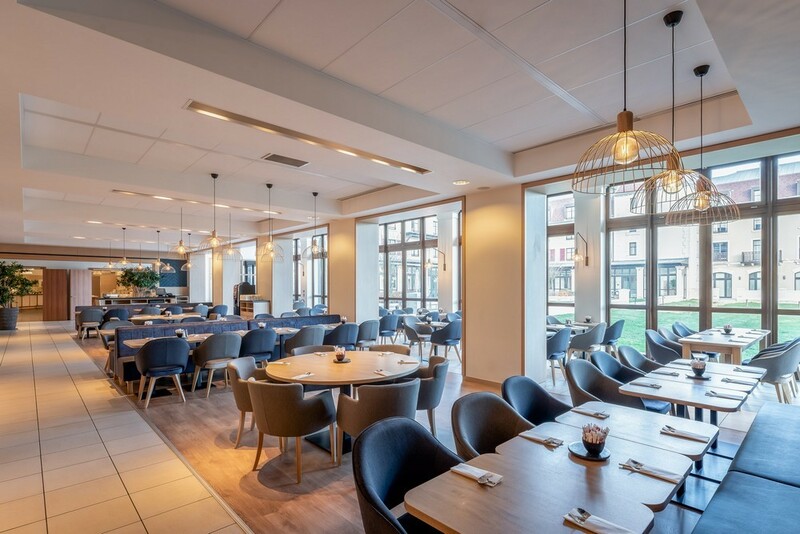 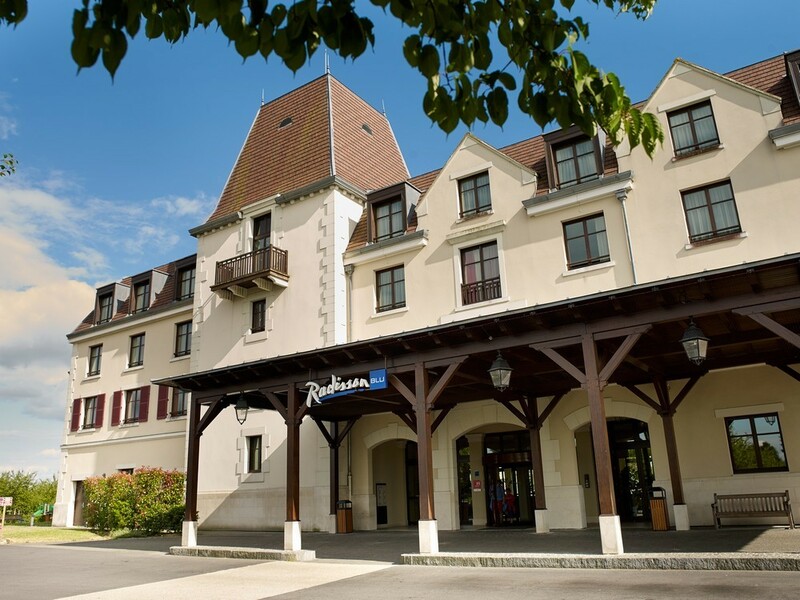 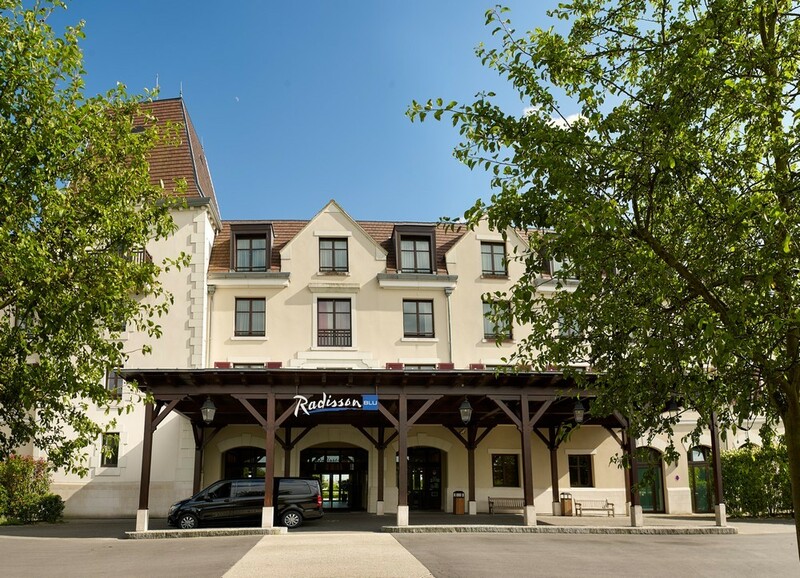 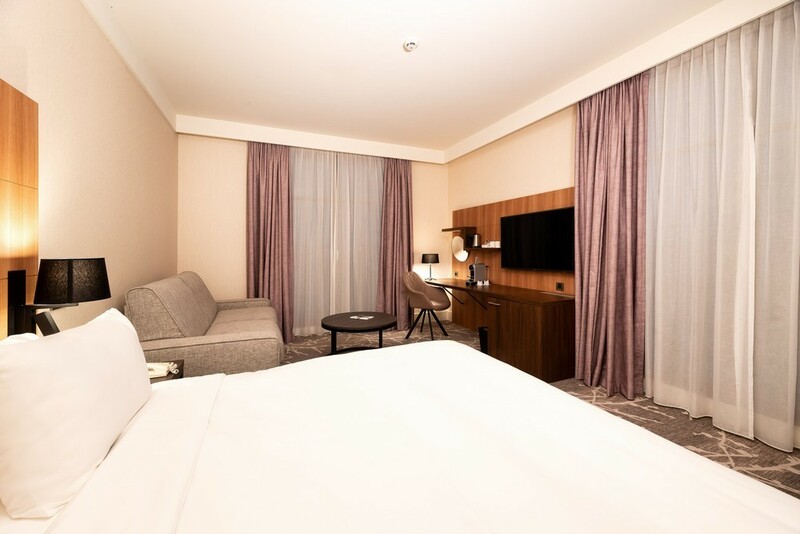 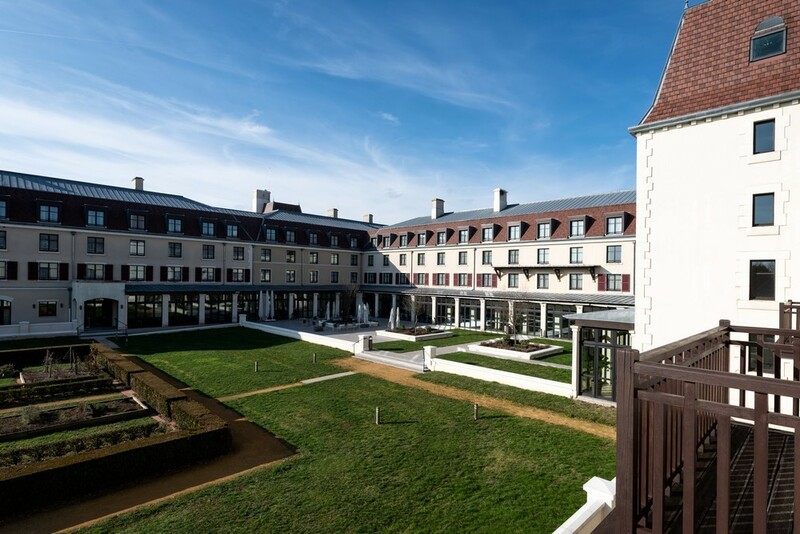 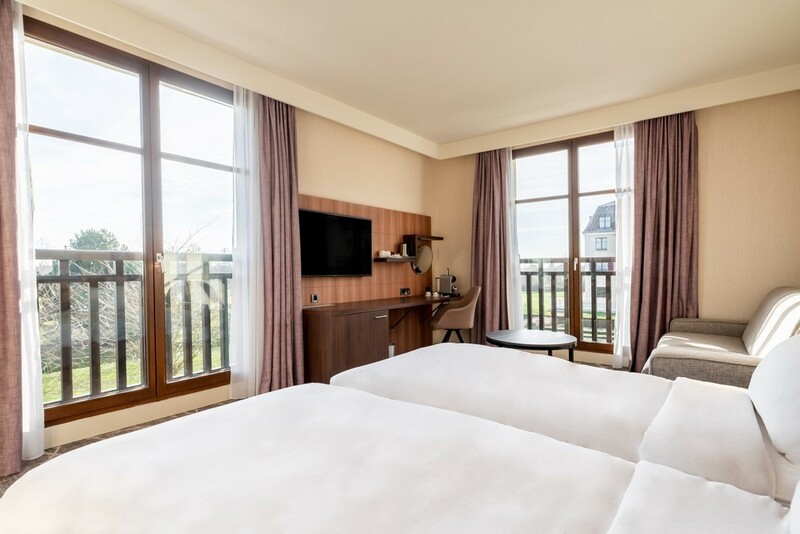 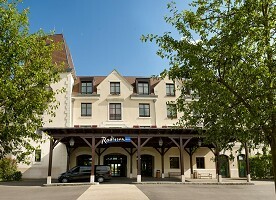 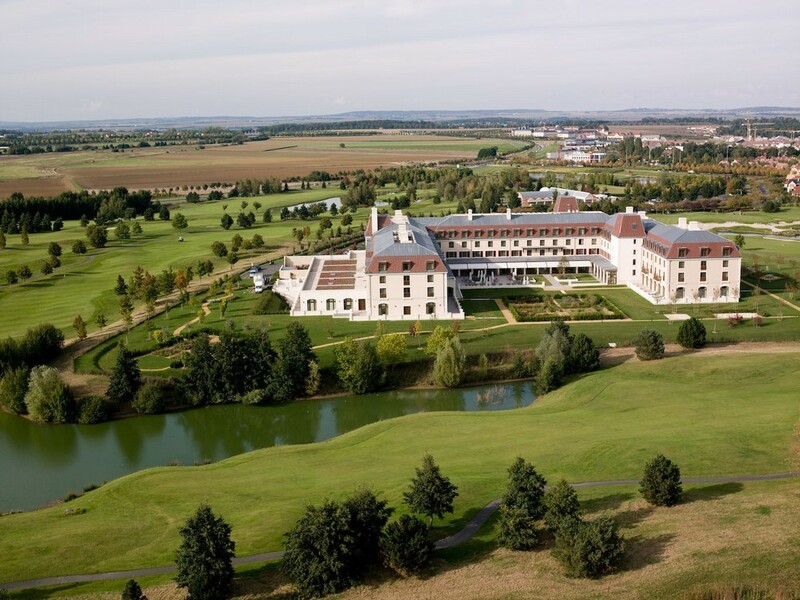 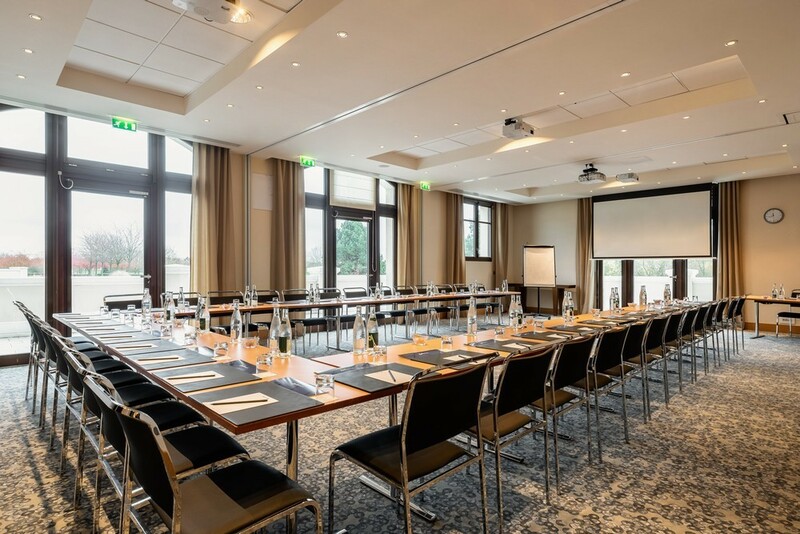 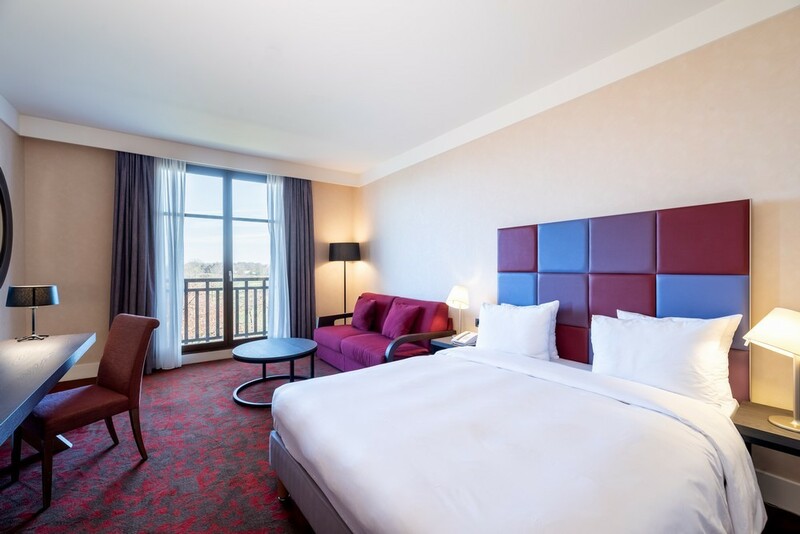 Ideally located in the heart of a green park of 2.5 hectares, the Radisson Blu Hotel Marne la Vallée offers you the possibility to organize any type of event at the Green light. 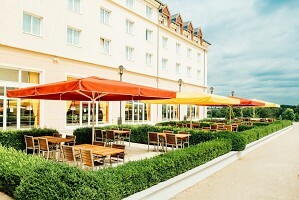 The calm of its 250 rooms, comfortably furnished, participate fully in the exceptional setting from this place. 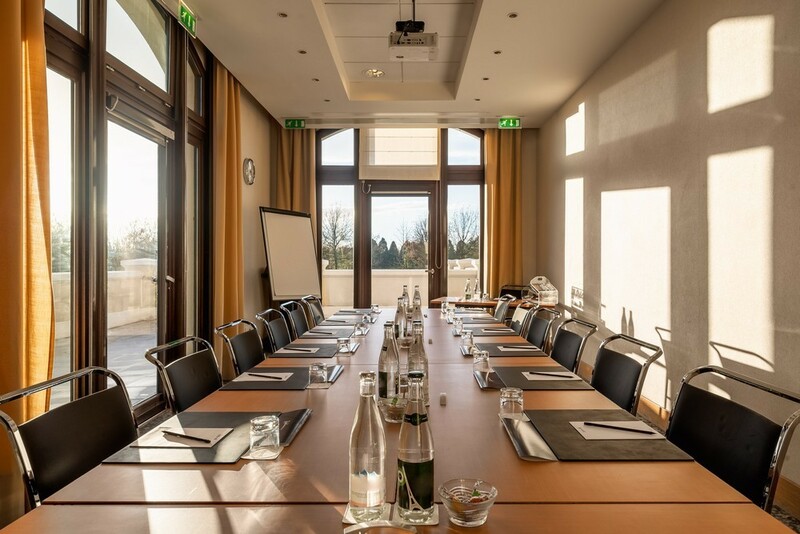 With a total area of ​​1 200 m² distributed over 32 rooms, we can accommodate a large number of private conferences and receptions as well as privatize the spaces at your convenience. 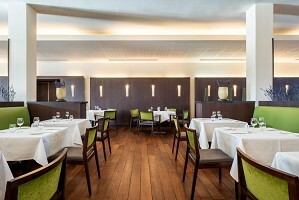 The rooms can be arranged and the light modulated according to various configurations 300 guests in theater. 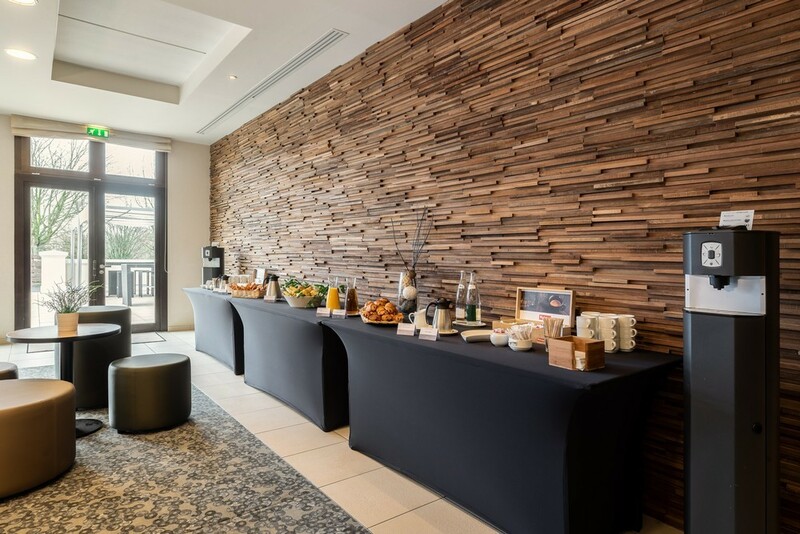 Our seminar teams assist you in choosing the menu, refined and inventive cuisine elegantly prepared by our chef, and ensures that your guests have at their disposal all the necessary audio-visual material. Your employees will appreciate the free wireless high-speed Internet access and the soothing effect of natural light. 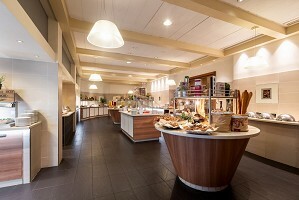 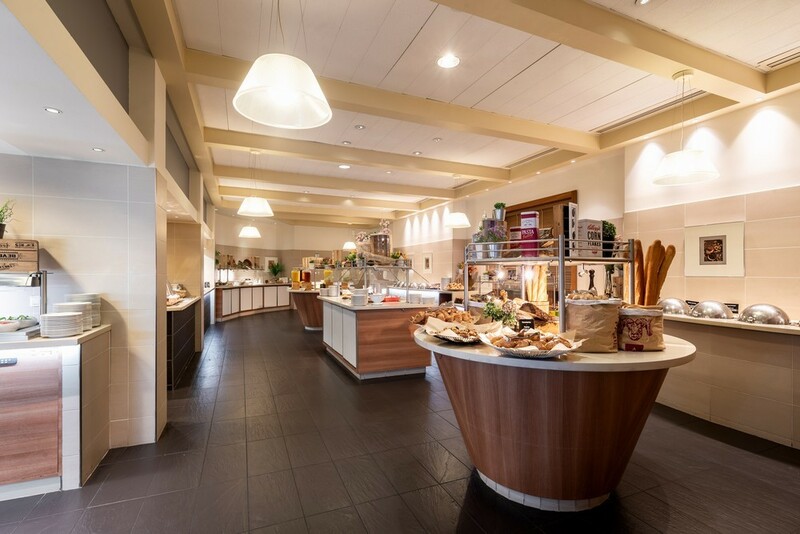 The Grand Foyer of the hotel is ideal for receptions or coffee breaks. 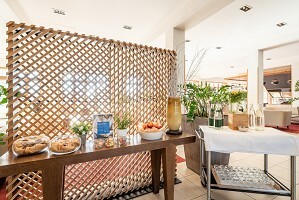 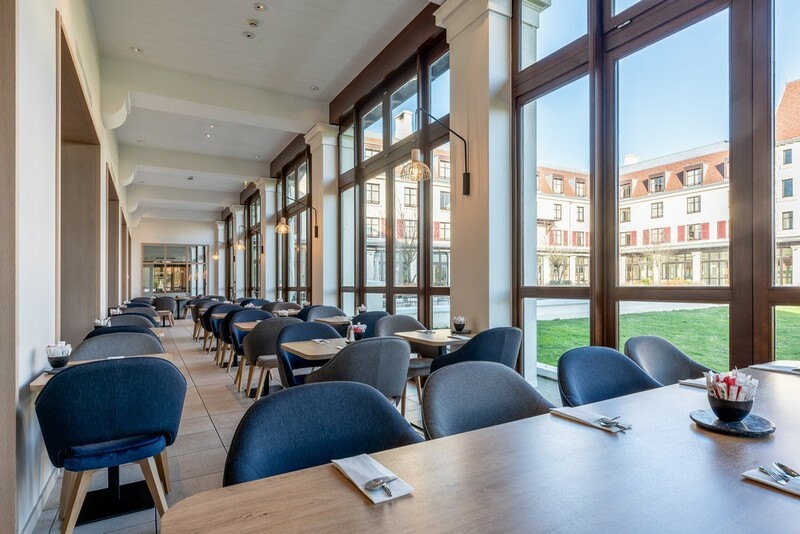 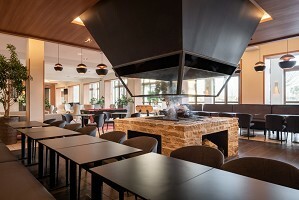 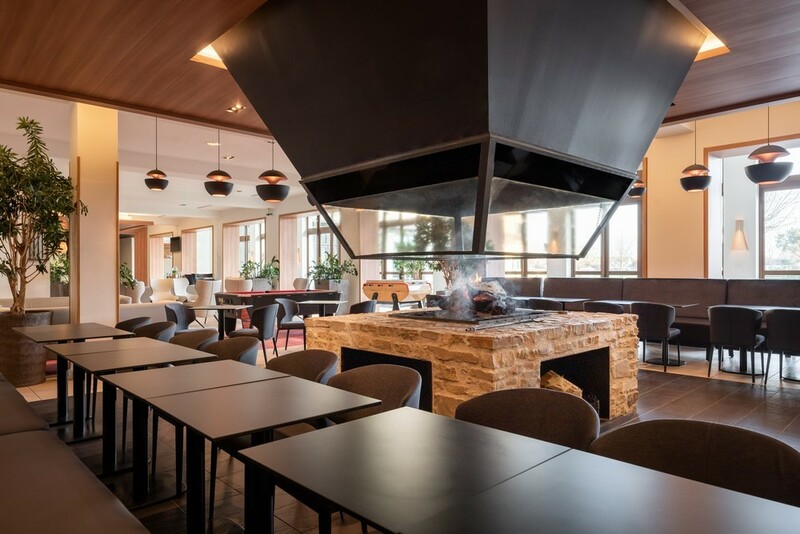 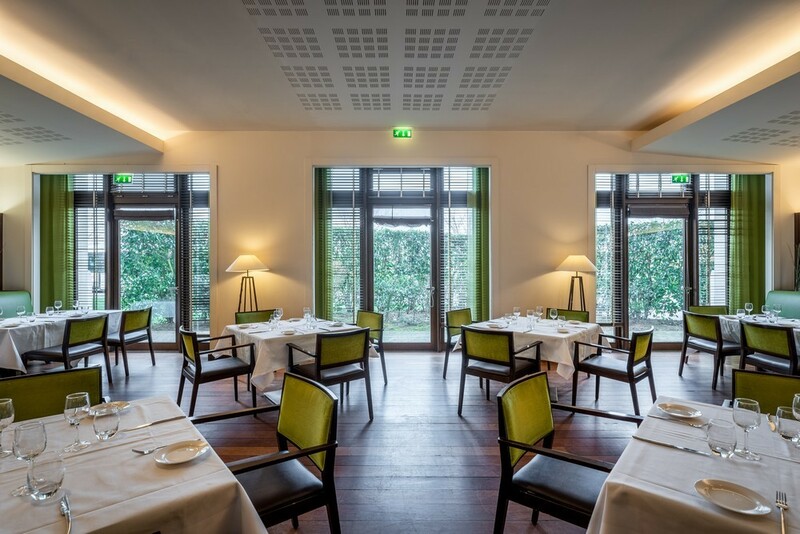 In addition, the terrace of the Chardon Bar, its cozy interior space enhanced by its impressive fireplace, as well as the two restaurants from the hotel, are available as part of special events. 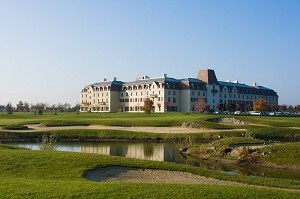 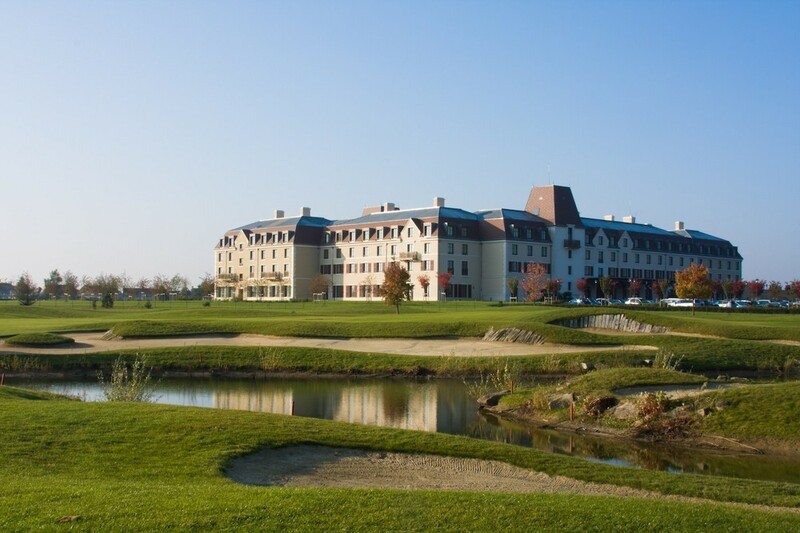 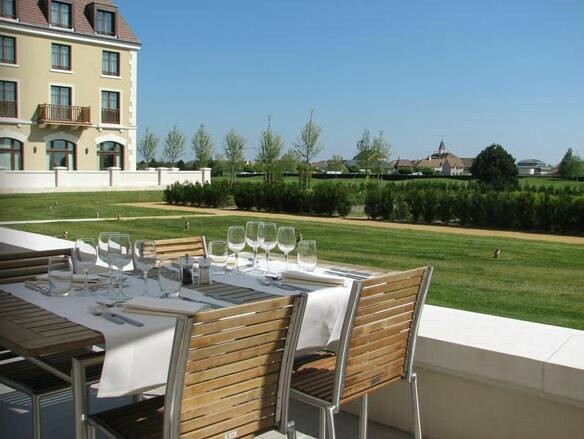 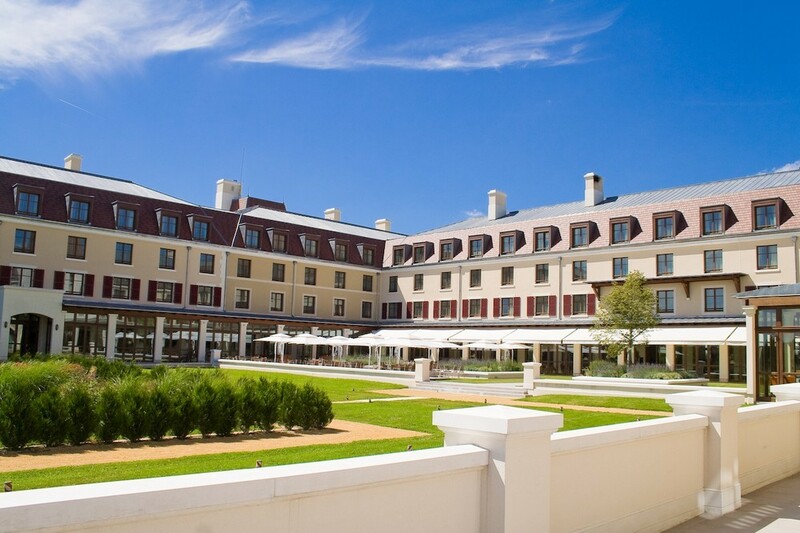 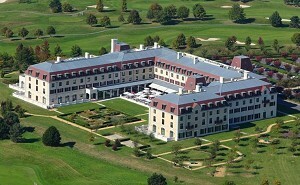 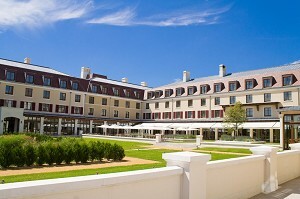 The hotel has 250 stylish, contemporary rooms with beautiful views of the golf course. 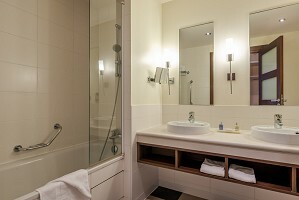 High-speed Internet and wireless access throughout the hotel. 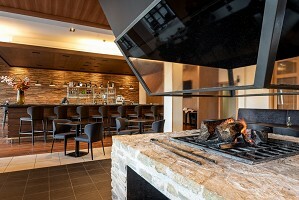 2 1 restaurants and bar with outdoor terrace welcomes you in a warm atmosphere. 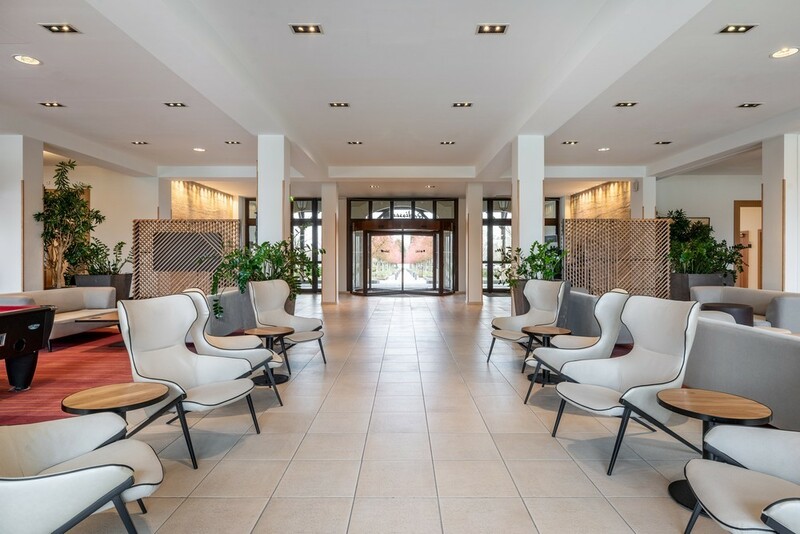 The wellness center, open from 6h to 23h offers a fully equipped fitness room, as well as a heated indoor pool, sauna and hammam. 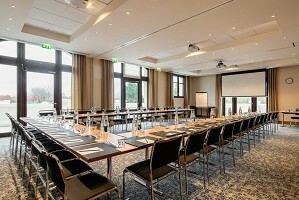 The hotel has 32 meeting rooms that can accommodate up to 300 people. 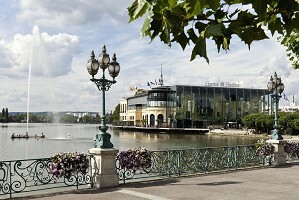 See other venues of seminars, conferences and symposia in Marne-La-Vallée (77) or in the department Seine et Marne. 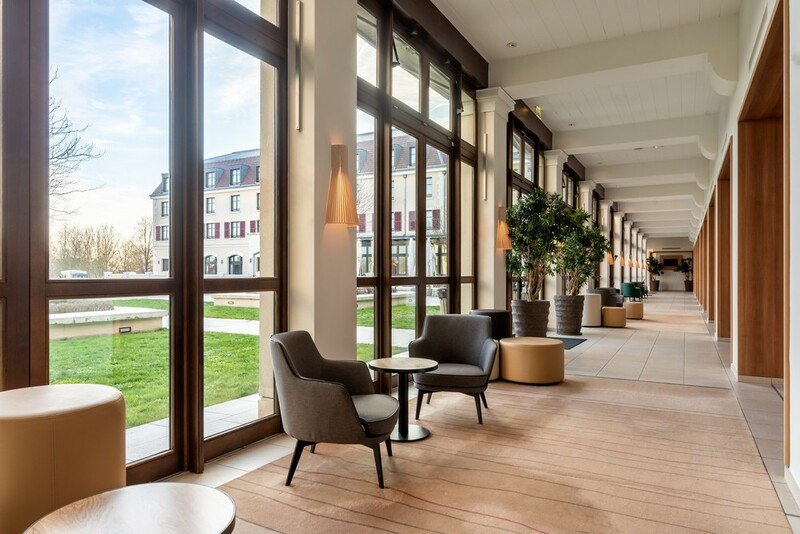 862 places surveyed in Ile-de-France, 130 places surveyed in the department: Seine-et-Marne and 21 places surveyed around Marne-La-Vallée (77) on the last 30 daysIncluding 22 once in Marne la Vallée. 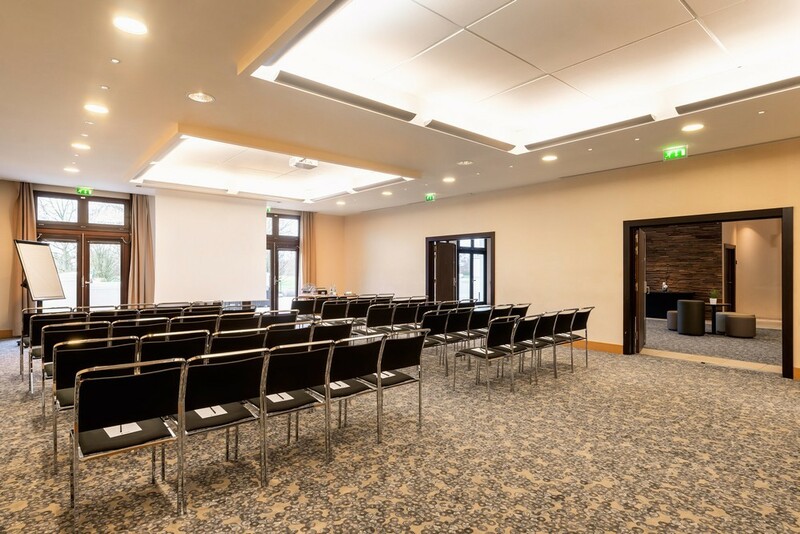 Our modular meeting rooms and our conference facilities have been professionally designed and are equipped with the latest technology. 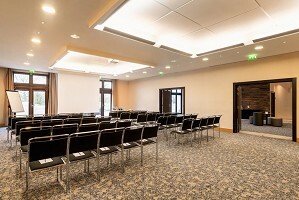 27 meeting rooms with an area of ​​1200 m², the conference center can accommodate up to 300 people. 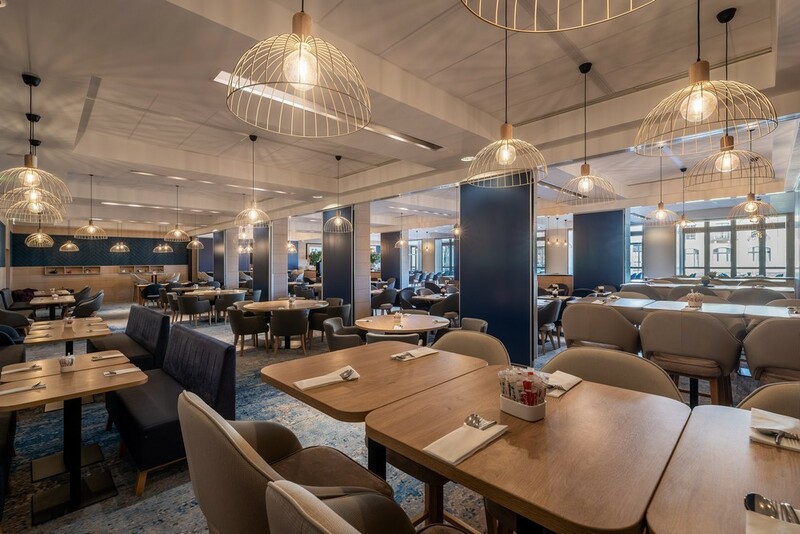 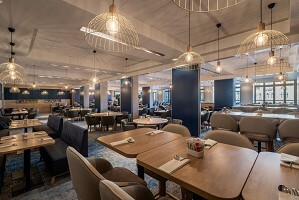 all enjoy the full daylight and open onto a private terrace, ideal for meetings, cocktail parties, business lunches and special events. 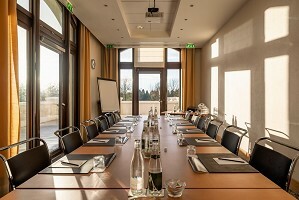 A staff exclusively responsible for the organization of seminars and events. 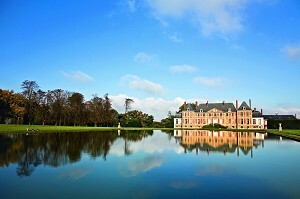 By car, take the highway until the A4 14 output. 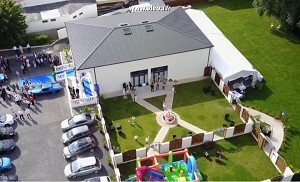 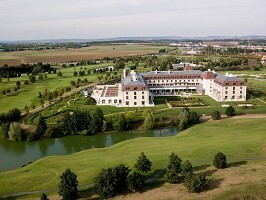 Then follow the direction of "Magny-le-Hongre" and "Golf / Golf Hotels".